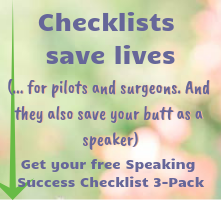 Think you don't need public speaking skills? Along with the results of its 21st annual Jobs Report Survey of 9,290 IT professionals, Computerworld published this article entitled "Nine Nontechie Skills that Hiring Managers Wish You Had." #3 is "an aptitude for public speaking." It's getting harder and harder to find a job that doesn't require competency in communication and public speaking skills. What are you doing to improve your skills? Also, see this post on public speaking practice for the self-employed. What else can you do to get public speaking experience in your job? I love the ideas of coming up with ways to get your foot in the door of public speaking;however, I have had the oppsite experience. I wrote this paper for one of our project groups that would save money etc...of course they ran with my idea and I was left at the table holding my copy of my paper. So, I've become a little reluctant in getting involved with the higher powers that be in my business. The ideas to get involved are great! I don't currently work at a job where we have team meetings or reports of any sort but we do each take turns showing new people around and training them in. Thanks for your comment, Courtney! Your ideas for public speaking are excellent. I once had a job where I was asked to train people in and it's a great way to get to know someone. Hopefully after I finish my oral communications class, I will have more courage to try some of your other ideas. I found your blog on http://instantpublicspeaker.blogspot.com/. I like the ideas presented and will use them as SASS grows. Public speaking is very much a part of my 'job' now, as I do community education and various presentations to local businesses and schools. I think the ideas listed here for public speaking are awesome. I usually put so much effort into thinking of how I could get better at public speaking but after reading this I learn that the little steps are the most important. I am a manager at my curent job so many of the listed items are things I will start to try because I have endless opportunities to do so. Hi, Ter sent me to you from his instantpublicspeaker.blogspot site. Thank you for the suggestions for better commuication skills on public speaking. I have used the introducing new employee to others approach; it is a great way to get to know another person. Diane B., Ter's Oral Communications Summer Coarse. I apologize if this is being sent a second time, I'm not sure of this blog stuff. I love the ideas presented in here. They make becoming better at public speaking seem so easy in stead of frightening. I think a lot of people get intimidated about public speaking so they don't think of things as simple as these to improve their ability to become better at it. Thanks for stopping by, Natalie, and I'm happy to see Ter's students still finding my blog! I received your link from http://instantpublicspeaker.blogspot.com/. I like your idea for offering to be the one who gives the next report. I have tried that a couple times. I feel great when it is over except I blush so much during the speech. I am hoping to get that under control. The people I work with don't mind my tomato face though. They are used to it. Abby, it's a huge step for you to be taking this class. Take baby steps if you have to, to get started speaking and building your confidence. I enjoyed reading this blog. It gave more perspective to the word public speaking. The hints to being a better public speaker are good to know. Hello Lisa! I was sent by Ter Scott via the link instantpublicspeaker.blogspot.com. Where I work we do not have any meetings to lead. If, somewhere down the road, I work in a department like those you mentioned, the only thing I can see myself doing would be joining a book club. I am a very shy person and I don't like being in large groups of people even if I am not talking. I know, I have a lot to work on, but after 38 years it is really hard to change. Change is always hard, but you wouldn't be taking the communications course if you weren't ready to shake things up a bit. :-) Joining a book club or other small club is a great idea, where you can get used to speaking up in a small group. Then you move on from there! I think that the steps that were advised were very much needed, I can surely gain from this experiment and insight. I really want to work on my Oral Comm Skills and I hope that I can overcome this by taking this class. Lisa this is awsome advice I enjoyed reading, these can improve my skills and once I start work I will apply some of these I like the idea of preparing something to share or asking questions to get experience speaking up. All of these are great ideas to get involved! It's getting harder and harder to find a job that doesn't require competency in communication and public speaking skills is very true! I just looked in my local newspaper and most of the entry level jobs that I would be interested in, state this requirement of having good communication skills. My eyes are now more open! Nice to hear from Ter's students. Thank you all for stopping by! You made a really good article. They sound like a good way to be calm and build confidence to talk to other people. Sometimes I get nervous when I talk to a group of people. I hope this Oral Communications class helps me get more confident in speaking in front of a group of people. By reading your article I am going to try your seven ways to practice public speaking where I work. I found your link at http://instantpublicspeaker.blogspot.com/. Thanks for your comment, Megan! Good luck in your class. Some of the ideas had me going: "I don't know, I really don't feel comfortable with that idea." As to jokes at my current place of work we don't have meeting that often and when we do it is the managers/PIC (Person In Charge) who put them together to tell us what we are doing wrong, not what we have done right. The idea of showing new people around and teaching them the ropes is a good idea as long as the new person is willing to do what is required instead of "passing the buck". I would like to volunteer for some organizations that I am interested in but for me the problem is transportation and the time to do it or be available to do it. Thanks for your comments, Julia and Heather. Heather, there are seven suggestions on that list. Rather than focusing on the ones that wouldn't work for you, trying finding the one or two that would, and then go for it! 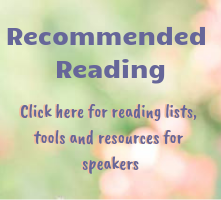 Those are some great suggestions to help people take small steps toward becoming a better public speaker,more experienced and comfortable in front of others. Heather, I'm glad to hear you're willing to practice; that's the only way to accustom yourself to speaking! Good luck! well, honestly, I have no problem talking to those that I work with because we are a small group. I have worked there for nearly 4 years. There are only about 20 people in my place of business. I have a really hard time meeting new people and talking to those I do not know. I just don't know what to say, and end up just being really quiet and avoiding the situation when I can. You might find my posts on networking to be more helpful! I like these ideas! They are opening up my mind to new things that I have never thought of doing to getting over that small fear of public speaking. I agree about sharing something or having a question during a discussion. You are publicly speaking in front of the group but only for a short time. This gives you experience in speaking in front of a group. At my work when we have a group meeting, we go around the room and let everyone even if they don't have a question say something regarding the topic being discussed. This may be an exercise to get everyone to voice an opinion and speak or this may be a communication exercise to get everyone to speak in front of the group. Thanks for your comments... it's great to see new faces each semester! Hi Lisa, I got you link from http://instantpublicspeaker.blogspot.com. I reall like all of your ideas for speaking in public. I'm a firm believer that practice makes perfect (or at least improvement). I have had the opportunity to speak publicly to generally a small group of co-workers and it does get easier. Starting small to improve your skills. Taking the employee around the office, sounds simple, but for some, could be hard. But make it simple by having fun, but being professional. A book club, what a great idea. Read a book on what you like and talk about it. It is something you will know all about. To me if I feel I am looking good and feeling good about myself, I feel more confident and then the confidence is there. Thank you Lisa for those helpful hints. It is small steps that lead to bigger ones. Ter Scott sent me to this article. This article was a great insight to how to achieve the goal of being comfortable about speaking in public. Hello Lisa, I got your link from: http://instantpublicspeaker.blogspot.com/. I agree with your article and found it very informative. Your suggestions are great! There seem to be alot of things we can do to improve our public speaking which I never realized that I can incorporate it in my every day life. So glad to hear that the link is still being found! I hope you'll find other helpful articles on the blog as well. Ter Scott sent me. I like your list of things to help with communication. I have always been the nervous type to talk infront of my class or at a job where I need to speak in front of more than 5 people. It's nice to know there are good ways to prepare yourself before having to jump into it right off the bat. I think that sharing the responsibilities with someone would be helpful enough for me. Ter Scott from www.terscott.com has asked me to visit your blog. instantpublicspeaker.blogspot.com The ideas you give for becomeing a better speaker were great. I expecially like the idea of telling a daily joke, what a great way to break the fear of speaking up. Thank you all for stopping by! I'm glad the article is still useful to you. I got this link from http://instantpublicspeaker.blogspot.com by Ter Scott. I agree with you about the seven ways to practice public speaking. When i was reading them I all ready do some of those way at work. Like with the jokes some times that how we get through the day. Lisa, your 7 ways to practice public peaking are so helpful. Iv never been good at it but your 7 ideas will definitly help me. #4 was my favorite. I think taking the lead on a project is a good way to jump in and be heard. Also teri from terscott.com sent me. I received your link from http://instantpublicspeaker.blogspot.com by Ter Scott. The seven ways to practice public speaking are great ideas and easy to put in practice. I am going to try #2 at my next meeting. I got this link from http://instantpublicspeaker.blogspot.com/. I like the idea of when a new employee starts to introduce them to everyone in the office. It's a good way of working on your communication skills and also to keep acquainted with everyone in the workplace. My boss always has our during our monthly meetings to go around the room and introduce ourselves for the new employees and where we work. I like the ideas for things to do at work. Both of the jobs that I have don't have monthly meetings with the staff. It seems like everytime I go to one job there is always someone new working, I just am myself and let them know who I am, I wish my work environments would have meetings because the tips you gave would make them fun. I like the idea of showing the new person around the office and introducing them to the staff. When I was in the working environment, before taking time out to be a stay at home mother. My job was training in employees and this was something I enjoyed. I loved learning where they were from and what they were hoping to get out of there job. The business was small enough that every one got along and we developed a camaraderie (tight knit family). I'm pretty good at just about everything you mentioned. I'm not trying to talk myself up or anything but I do need to work on saying things correctly in a professional way. I can stand up in front of people and read something on paper to the crowd. Keeping my eyes mostly to the crowd. It's the initial writing that gets me sometimes. I agree when she says that there are very few positions in the career world that don't require you to speak well. Weather it is on paper or in a conference room, it still will either make your interview or break it. 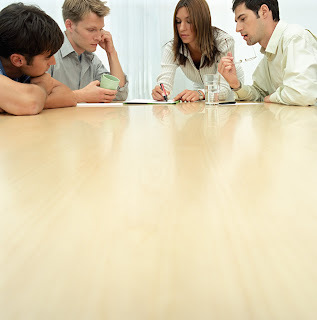 I personally agree with improving your speaking skill by being the main representative in an office meeting. I had my own confidence go up alot when I began to speak more an more in work meetings. I find the things you have listed to improve communication skills very helpful. Through the oral communication course I am taking I hope to improve on my skills and have the confidence to try some of your ideas at my place of employment. I got your link from: http://instant publicspeaker.b logspot.com/ and was sent by Ter. I never really thought about the ideas that you had suggested as ways to improve public speaking. I am the type of person who sort of sits back and listens as everyone else voices their ideas and opinions. I was always told in meetings that my ideas were just never quite what was needed or someone elses ideas were better, or my ideas were given credit to someone else. I just decided that staying quiet was best. I would like to learn and teach myself that what I have to say it valuable. I got this link from http://instantpublicspeaker.blogspot.com/ I have also just pretty much sat back and stayed quiet. Your ideas are something to think about, it may help to start by talking during meetings and speaking up. I found this article very helpful in providing ideas to improve my communication skills. I have always been more of a follower than a doer but as I work to improve my career skills and take steps to move up the ladder I am finding that I am pushing myself harder to get out of my comfort zone. I will make it a goal to ask at least one question in our staff meetings at work. I recently did this through a group work email by bringing up a concern and I have now been put in charge of a training process for a new task. My challenge is the verbal skills. Face to face is harder for me. Thanks again for the ideas! Thank you all for continuing to stop by and leave your comments. I hope you are able to put some of these tips into practice and find your confidence! I enjoyed your article. You have some good ideas on how to improve your speaking skills. The joke of the month is a great one to break the ice at a monthly meeting and practice. Thank you for the information. I think the idea of your "Joke of the Month" idea is great for work meetings. It would sure put a break on the seriousness and boredom of a meeting. I got your article from http://instantpublicspeaker.blogspot.com. Have a great day! I received your link from http://instantpublicspeaker.blogspot.com/ and was sent by Ter. I thought that #2 in your article was a perfect idea to get you to become comfortable with speaking in front of others, without having all the focus on you at once. Many of these suggestions give a person the opportunity to get confortable in their own skin before putting themselves out there in front of a lot of people. I would love to hear if any of you have put these ideas into practice and how it turned out! Glad you're willing to be open-minded about opportunities for public speaking. I think taking the lead is the best way to get good at public speaking. By taking the lead, people have to listen to you. Great point, Justin. And when people are listening, you feel a greater responsibility to give them something of value, not something you just threw together at the last minute.